AllMusic and Rovi are the same company. Just FYI. Totally agree it is not easy… in fact at this point I’m pretty much settled that it isn’t fixable in the sense that a single solution could be implemented that would satisfy most users. That’s not the fault of Roon team, didn’t mean to imply that if I did. The problem is that the problem is not visible to folks that don’t have deep collections. That means Roon probably doesn’t see it in test cases… most of these issues don’t materialize in a small library of very popular artists. So my suggestion is to provide an option for people to supply all of their own meta data. An option - not the only way - an option - for people that care about this stuff. Which may or may not be the majority of Roon users, I’m not convinced that Roon has deep understanding of their user base in that respect. Anyway great conversation and I respect Roon for indulging a space where cranky old guys like me can put this stuff out there for consideration. That’s incorrect. Rovi sold Allmusic to RythmOne. Rovi is now TiVo. Wow I missed that one, thanks for the correction Martin… I guess I would say that the quality of the Rovi data - the common source for Roon, AllMusic, others(?) remains very very bad from my perspective. I’d say it is more inconsistent than bad. I’ve learned things, found artists, and side projects for favorite bands, that I had no idea existed. That’s gotta be worth something. There is definitely room for improvement, but that data is far from worthless. We will have to agree to disagree on this one. I was literally just this minute listening to the 70s live album “Strangers in the Night” by the band UFO. I mean it wasn’t the biggest live album of the decade or anything but it was on a major label and by a pretty big band… big at that time anyway. “All songs performed by UFO or Die” is the credit I see in the Roon GUI. Really, it’s crap. The Rovi dB is utter garbage for my purposes at least. Well we can agree that UFO had some very good moments. OMG how many times I saw that album in the used bin! As with any software topic, I’d rather talk about the music if there is something to be said. The more I use Roon I come to the conclusion, that the metadata is bad. When I start listening Indie Rock radio I’ve to hear Green Day as Roon thinks that the band is not only a punk band but an indie band. I know, I can correct this. But a big enhancement would be track based genres and maybe genre weight for artists. Some background on TiVo data and how it is maintained and updated. 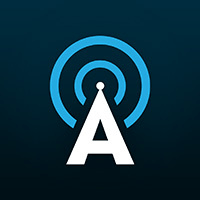 Provides information on how to have an album or information added to the AllMusic database. And more on the story behind it. When I start listening Indie Rock radio I’ve to hear Green Day as Roon thinks that the band is not only a punk band but an indie band. What’s wrong with that? How can American Idiot be anything other than subversive punk orientation by an independently minded rock band. And here’s the nub of the problem. No database will be perfect because we all have different interpretations and preferences. There are issues with the data. That’s acknowledge, but it probably is the best single source at this time. And as a mechanism to discover new music it is invaluable. If we were to pigeonhole every artist into one genre that feature would be largely lost. Well, I never heard someone calling Green Day as an Indie Rock band. Maybe Alternative Rock, but not Indie Rock. I haven’t found sources that claim this. It’s true that you can’t put a band into one genre, Green Day nowadays is more like Pop-Punk. But you can’t even put many Albums into one genre. Roon seems to behave right here, but the problem ist, that if only one track has a different genre Roon assigns every track of that album to this special genre. My favorites are that whom ever supplies the meta-data believes that Shostakovich is a rapper and that Ornette Coleman does pop/rock. Well that depends on your definition of Indie. Green Day certainly started with an Independent label and even when the hit the big time they went to Reprise which is known for given artists more freedom. Alternative Rock is pretty meaningless. It’s like saying everything else since whenever. Yesterday’s alternative is today’s mainstream! I don’t think Billie Joe Armstrong would be happy with Pop-Punk. I gave up on genres and styles years ago. They may as well be colours and hues. But they are–largely–beneficial when it comes to music discovery. Actually, I quite like it when radio throws in something left of field into the mix. So, why not have a bit of Kerplunk thrown in with The Strokes, Radiohead, Smiths, Neutral Milk Hotel … ? D-mitri Sho-sta-kov-ich know whut ah’ mean. Maybe? I totally agree, that it all depends on the definition of genres. For me it’s how music sounds. And Green Day doesn’t sound like Tiger Lou or Franz Ferdinand in my opinion. And I’m not alone. I use the Radio feature when friends are at my home. And their WTF-Eyes tell you everything when Green Day follows Franz Ferdinand. Personally I also like the surprise but then I use the discover feature. The Radio is more about moods for me. So maybe Roon should do more sophisticated music analysation to determine key and mood like beaTunes does instead of depending on genres. And then there could be two radios in Roon, the mood radio and the surprise radio. I hear what you’re saying but I don’t think that’s a realistic goal. Genres and styles change with the times as new influences come and go. You can hardly day The Strokes, Radiohead, Smiths, Neutral Milk Hotel sound the same yet these are regarded as some of the best independent artists. Tivo/Rovi/All Music groups alternative and indie together. See this. One thing for sure we will never all agree on the right genres for every artist. I would also like to be able to disable album reviews on an individual album basis. If I have an album in my Library it’s because I like it. I don’t want to see one of the ridiculously negative reviews (and there are many) each time I play an album I like: it detracts from the experience of selecting that album. Being able to insert a positive and useful review from another source would be an advantage. I would prefer a greater variety of sources over disabling reviews. I too have had a bucket of cold water thrown on some pretty cool discoveries by reading that Stephen Thomas Erlewine doesn’t like it. That is not to say the information is worthless. It is highly opinionated. Sourcing reviews from at least one other service, getting at least 2-3 for each album, would be the way to go. I would much rather see resources allocated to more content rather than towards development of a way to disable it.